Summer is more or less over, but there are some exciting LRS events coming up to keep you entertained throughout Autumn! 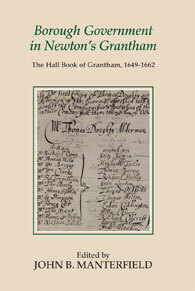 Our latest main series volume, Borough Government in Newton's Grantham - The Hall Book 1649-1662, will be launched at the end of this month. 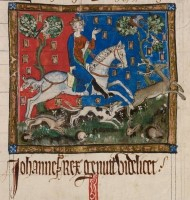 Next month, we have our usual October AGM and on the same evening, the LRS is sponsoring a special lecture from Professor David Carpenter on the topic of King John, to commemorate the 800th anniversary of his death. Details of these events can be found below, hope to see you there! Borough Government in Newton's Grantham - The Hall Book of Grantham, 1649 - 1662, edited by John Manterfield. The volume will be launched by the Mayor of Grantham, Councillor Linda Wootten, to be followed by tea. RSVP (if taking tea) with Book Launch in the subject line to: Marianne Wilson - communications@lincoln-record-society.org.uk by 23rd September 2016. All members are cordially invited to participate in the Society's AGM. This will include a lecture by John Manterfield on our recent main series publication. Light refreshments will be provided. 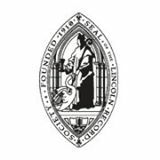 RSVP (if taking refreshments) with AGM in the subject line to: Marianne Wilson - communications@lincoln-record-society.org.uk by 21st October 2016. The Man and his Legacy"
communications@lincoln-record-society.org.uk by 21st October 2016.